“I’m from a small town in Austria, half an hour from Vienna. So Tokyo is a very new experience for me. It’s crowded but people respect each other. And their level of trust is amazing. My friend lost her wallet while we were out shopping but we got it back. We went to the police station and there it was. 500 euros still inside. That would never happen back home. In Austria, you better hold your bag like you’re holding for dear life when you’re on the subway. Although one downside here is you never see a garbage bin. And plastic bags are used everywhere. The funny thing when I arrived in Japan was people asking me what costume I was planning to wear for Halloween. I told them I’m not really into the whole cosplay thing. 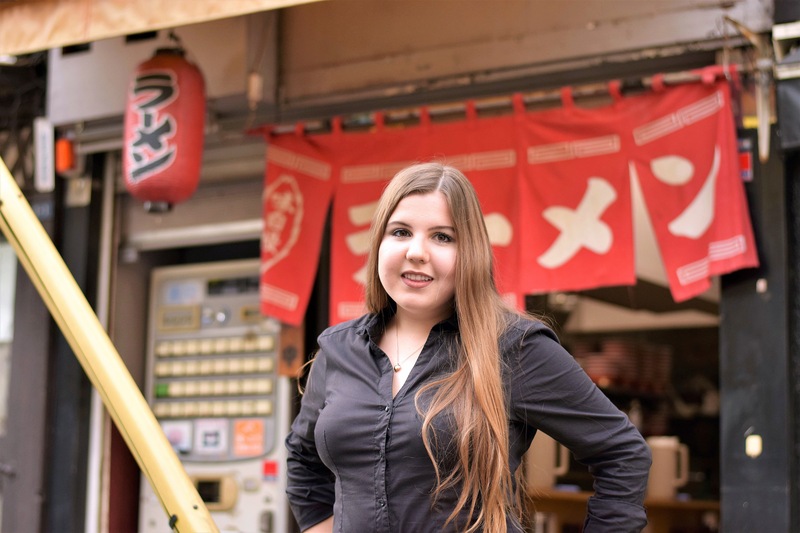 “So they asked, ‘Why did you come to Japan then if you don’t like manga or anime?’ But I think there’s more to Japan than manga, anime or cosplay. Nothing against them. I think they’re great. I just enjoy other aspects of Japanese culture. I must admit though, my friends and I go to karaoke a lot! That part I didn’t expect.